I started out by working with the set My Cup of Tea. I had a lot of ideas and ended up making a number of cards. Instead of dumping all the cards in one post, I decided to divide them up into three post, so you will be seeing more from this set in the next two days. 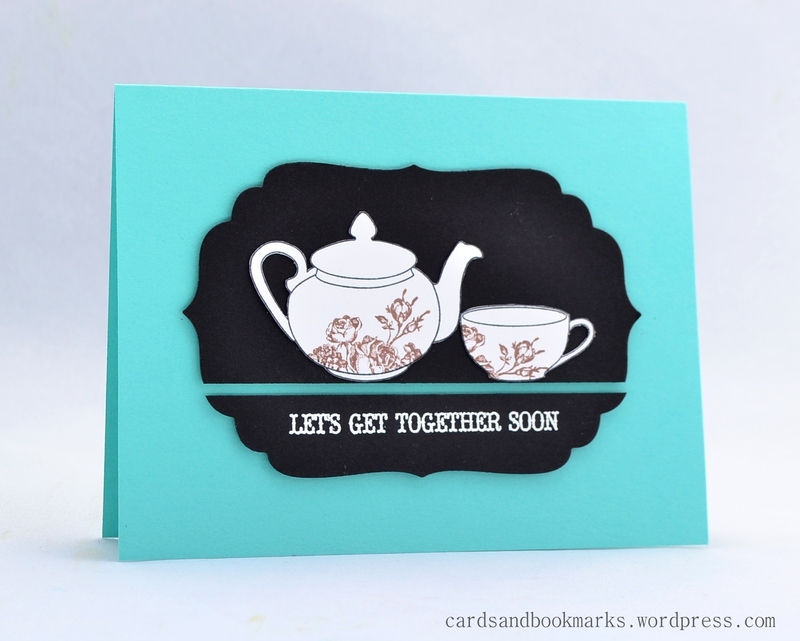 I decided to break into my patterned paper pack and used it on the card base. The pot is stamped with Distress ink Victorian Velvet. On another piece of card stock I embossed the image in gold and cut out the floral portion. As for the oval piece, I embossed a gold outline on it. Here is how; I first cut out the same oval out of masking paper, drew a thin outline around the edges, trimmed it off, then placed the now slightly smaller mask over the oval card stock. Finally I pressed Versamark pad on it, sprinkled the embossing powder, removed the mask and applied heat. I had a hard time deciding on the sentiment and where to place it. After much fiddling I found a place for it, can you see it? Here is a super simple card. I wanted to go for more of a gender neutral color and design. Here I used a die that coordinates with the set. It is almost impossible to get a perfect edge if you stamp the image first. So I die cut the cup first and tried stamping on it, first by eye-balling, then by using stamp-a-ma-jig. However neither worked to my satisfaction. Then I used vellum; first die cut the cup then used both the negative and positive parts to position my die exactly where I wanted it to be. Of course, I am a little crazy about getting things exact, so this worked the best for me. That’s it for me today, see you tomorrow with a couple more cards! YAY, congrats on your guest designing, Tasnim! Fantastic job on all the cards. Woah, totally impressed with your gold embossed strip around the oval … that’s some sweet dedication to getting the look you want. Love it!! Congrats on your GD spot! CBS are amazing and you’re doing fabulous things with them 🙂 I recently got a few sets myself and I’m love with them! Can’t wait for more CBS inspiration from you! Belated congrats on the guest design spot! Boy, you sure make the stamps look AMAZING!! I love everything you made with them!! These are all so awesome!! 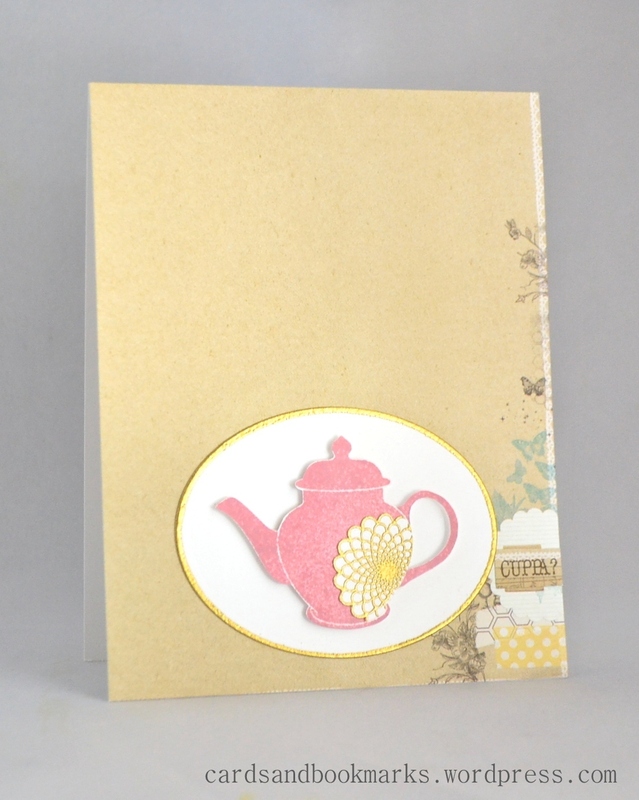 I love how even and perfect your embossed oval outline is! 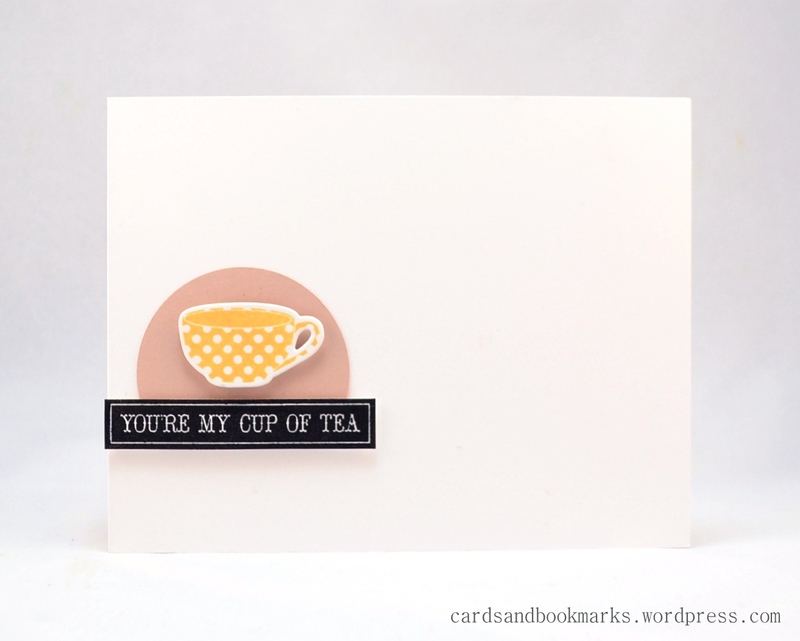 The third card is my favourite though – love how the teacup is spotlighted in that way!